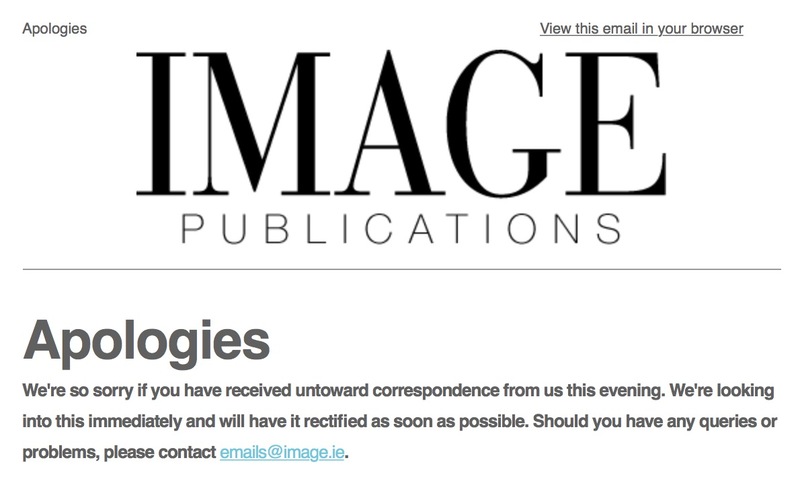 Posted in Misc and tagged email, hack at 8:53 am on July 22, 2015 by Broadsheet. bra bra bra bra, surely? Haha, there’s a lot to be said for outsourcing the MailChimp set up. 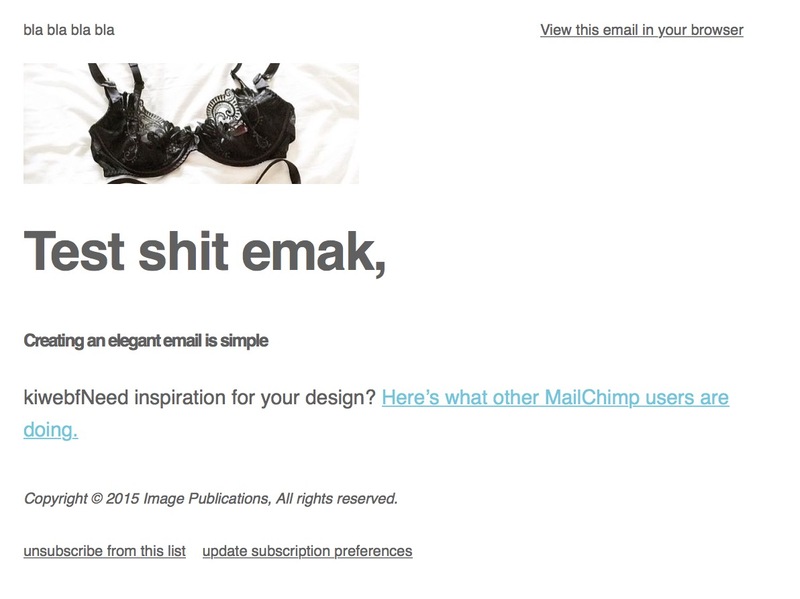 Mail Chimp. No simple, a chimp could use it. Maybe they should hire some more chimps in Image Magazine? True but it’s amazing how often the chimps make a balls of it, and the result lands like a giant plop into client inboxes.